Use a Sprinkler Timer. Watering your yard with a sprinkler system can help to keep the lawn looking green during dry weather, but it also uses a lot of water. Installing a sprinkler timer can automate the process and ensure that you’re not using more water than is needed. The timers also provide convenience and can help to prevent over watering. Don’t Ignore Drips. A drippy faucet or shower-head wastes more water than you think. When you spot leaks, have them repaired by a professional plumber as soon as possible. Upgrade Your Washing Machine. If your washing machine is reaching the end of its lifespan, consider purchasing a new water-saving model. High-efficiency washers need less water to get loads clean. Pick one with an adjustable load size, so that you only have to use a minimal amount of water. Install Water-Saving Fixtures. Some simple upgrades to your plumbing fixtures can dramatically reduce water use. A faucet aerator, which adds air to water as it flows from the tap, gives you a larger stream while actually using less water. Low-flow shower-heads allow you to get clean from head to toe while using a fraction of the amount of water as a conventional shower head, while toilet dams reduce the amount of water used with every flush without limiting the performance of toilets. Have Your Home Inspected. 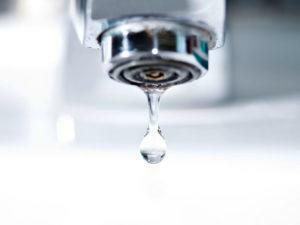 Leaky and aging plumbing fixtures can be causing you to waste water without realizing it. An experienced full service plumber Sacramento CA professional can inspect your home and locate any problems, so that you can have them repaired. A professional inspection is the absolute best way to make sure that you’re not spending money needlessly. Here at Bonney Plumbing, Heating & Air Conditioning, we offer a full water conservation inspection service. One of our highly experienced plumbers can check your water meter, pressure valve, showers, toilets and sinks and find any potential problems. At the end of the inspection, we recommend repairs, improvements and upgrades and will give you a free quote on the cost to have the work done. Call us today at 1-800-444-0551 or contact us online to schedule an inspection.